The hallway to the restrooms at the Guano Cafe in Guano Point, Grand Canyon West have these huge windows that frame the amazing views in the distance. 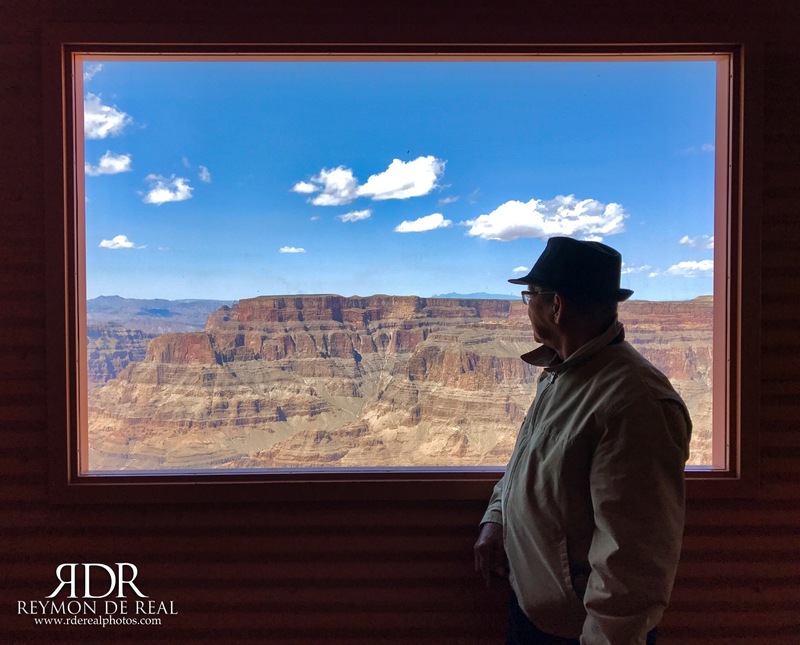 I was stepping out of the restroom when I saw this man looking out of the window obviously mesmerized by the spectacular view in front of him. I immediately pulled out my phone and quietly took multiple shots. I also took photos of just the window but I prefer this one as it shows how the Grand Canyon captivates its visitors. The man is actually my father waiting for me and my mother to step out of the restrooms. This was his first trip to the Grand Canyon and I’m glad to have brought him and my mother for an experience of a lifetime. Beautiful shot. Smart architectural design. Thank you! It was interesting to step out of the restroom and having great views of the canyon at the same time. Awesome, looks like he enjoyed the view. He sure did! He said seeing it in person was a thrilling experience.